- ServiceApp, thank you mx3L !!! - On spark7162 (and 7111 probably as well) fragmented streams such as hls (m3u8) will skip and freeze a lot. This happened sometime after the official Gstreamer 1.8.0 release and I didnt found the cause yet. It is not related to the dvbmediasink since it doesnt happen on mips receivers and the code in the dvbmediasink didnt change. Configure your streams to play with exteplayer3 instead, read below. - * On the 64MB Dreambox models (DM800HD, DM800Se and DM500HD) there is not enough space to ship ffmpeg. This means that exteplayer3 and gstreamer1.0-libav arent installed as well because they depend on ffmpeg. See my attached guide to copy over the root filesystem to a storage device. - Some Dreambox remotes may behave very sensitive. This causes button presses to register multiple times instead of just once. Go to: Menu - System - Input devices - dreambox remote control (native). Set "Interval between keys when repeating:" to 200ms or 300ms. Now set the same delay for: "dreambox advanced remote control (native)" as well. - DM800 first boot will take a while, please be patient. The next boot will be faster. Thanks for the hard work from mx3L and samsamsam you can now play your IPTV streams with exteplayer3 or gstplayer instead of the default dvbmediasink. Especially using exteplayer3 will give much better performance on playing HLS streams compared to gstreamer + dvbmediasink. 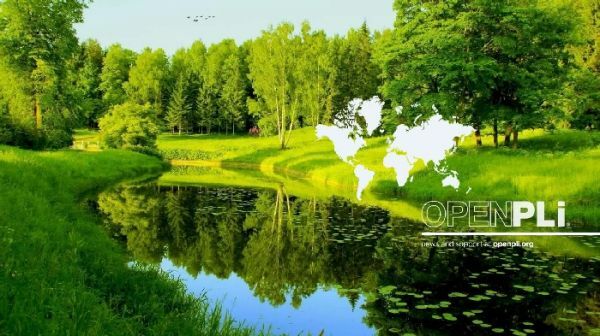 Here s a new batch of images based on OpenPLi 4 with many contributions from various openpli.org forum members and some bits taken from oe-alliance. SO DUE TO A NEW FEED-SERVER ONLINE UPDATE FROM PREVIOUS IMAGES IS NOT POSSIBLE! DON T TRY TO CHANGE THE URL IN THESE OLD IMAGES SINCE THERE S BEEN TOO MANY CHANGES WHICH WILL BREAK THINGS! PLEASE FLASH A CLEAN IMAGE INSTEAD! - Brand new bootlogo thanks to .:MarcinO:. - New feed server located in Europe thanks to the Japhar team! This happened sometime after the official Gstreamer 1.8.0 release and I didn t found the cause yet. It is not related to the dvbmediasink since it doesn t happen on mips receivers and the code in the dvbmediasink didn t change. Since these receiver only feature 64MB of internal flash space, I ve been unable to ship all packages. ffmpeg, exteplayer3, gst1.0-libav, mediaplayer2, iptv player, subssupport etc.. are missing due to insufficient space. That s why I ve created a simple PPanel script for moving the entire internal flash to an external storage device such as internal hdd or usb disk. The PPanel will also install all the missing packages for you. - It will format your storage device thus deleting everything. - You ll need a working internet connection when running the PPanel or else it cannot install the missing packages. - You need to patient! As the script runs you ll only see a black screen which an take up to 15 minutes depending on the size/speed of your storage device and your internet connection. In a nutshell here s how it works. In your /etc/enigma2/ directory you have your channel bouquets with the .tv and .radio extensions. By default this will play with the gstreamer dvbmediasink (which is currently broken for sh4). Now let s say you d like to convert your entire bouquet to play with exteplayer3, simply login to your receiver with telnet/ssh (use PuTTY for Windows). You can also make exteplayer3 the default backend for playing back everything. Go to Menu -> Plugins -> ServiceApp and set exteplayer3 as default. Keep in mind that with exteplayer3 or gstplayer as default backend you will not have support for external subtitles yet (.srt for example). That s why I ve added MediaPlayer2 and SubsSupport from mx3L.